Yesterday we received two new items for review. 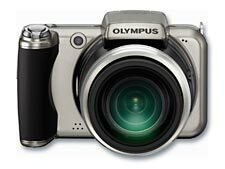 First off is the Olympus SP-800UZ, a big zoom compact camera with 14mp , HD movie and a whopping 30x optical zoom starting at 28mm wideangle. The other review item is the ‘b-grip’ which is a made in Italy.